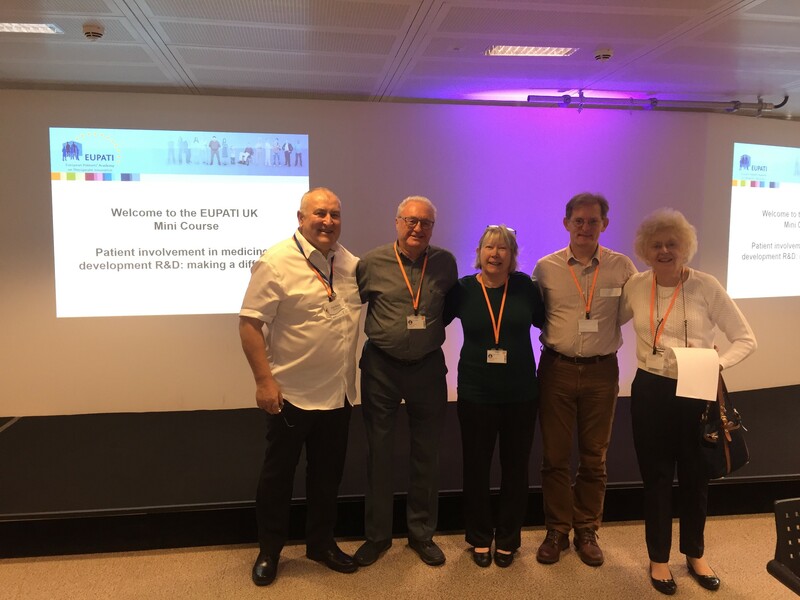 A few Parkinsons UK volunteers and staff were recently privileged to attend this EUPATI workshop hosted at the GSK HQ in London, and came away enthused and brimming with plenty of new ideas, contacts and resources. Anyone involved in PPI (Patient and Public Involvement) for medical research and development ought to be aware of this valuable work and free Creative Commons resources. The European Patients’ Academy (EUPATI) is a pan-European project implemented as a public-private partnership by a collaborative multi-stakeholder consortium from the pharmaceutical industry, academia, not-for-profit, and patient organisations. The Academy was started, developed and implemented as a flagship project of the Innovative Medicines Initiative, and continues to be led by the European Patients’ Forum. EUPATI MISSION: Empowering patients for their key role in health-related research. They do not educate about disease-specific issues or therapies, but about the process of medicines development in general. Indication-specific information or specific medicine interventions are beyond the scope of European Patients’ Academy and are the remit of health professionals as well as patient organisations. EUPATI is focused on education and training to increase the capacity and capability of patients to understand and contribute to medicines research and development and also improve the availability of objective, reliable, patient-friendly information for the public. Since September 2017, 96 patient experts, covering 53 disease areas from 31 EU countries, have been trained. These ‘EUPATI Fellows’ have completed an extensive programme of courses over 14 months, requiring more than 250 hours of study, on topics for medicines development, clinical trials, medicines regulations, health technology assessment. For those interested to find out more and self-study there is a wealth of online material available including a mini-course comprised of nine ‘starter kits‘. Additionally, EUPATI offers and maintains the Toolbox on Medicine Development which includes a comprehensive Glossary on medicines research and development for patients and advocates, and coordinates a network of national platforms for patient advocates. 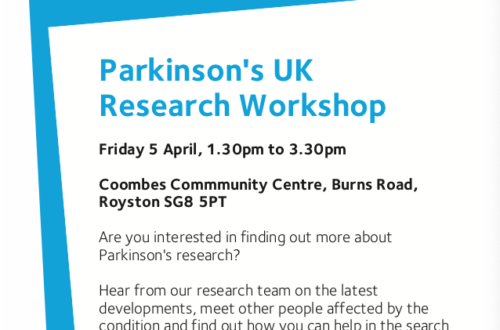 What is Parkinsons UK doing? 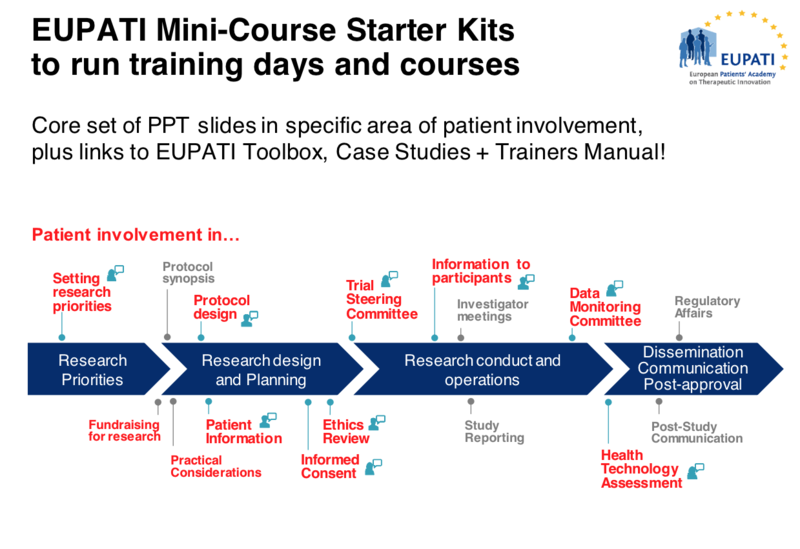 Parkinsons UK are already one of the pioneering charities in the UK for PPI, with involvement in most of the areas covered by the EUPATI training material (see slide above for examples). 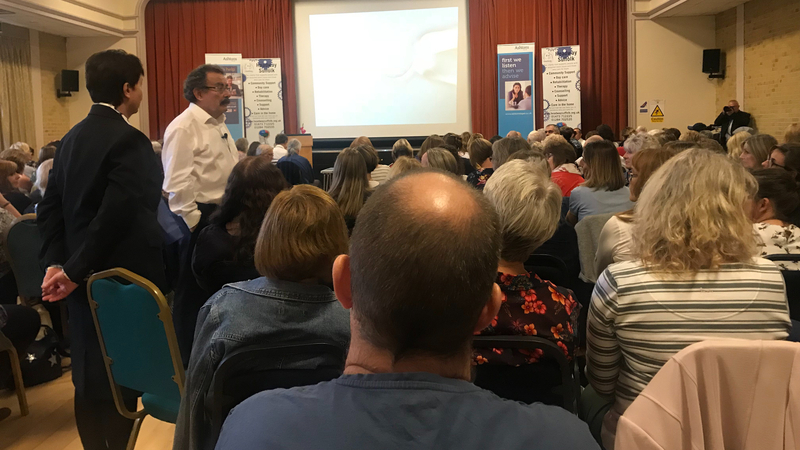 We heard from several different organisations for a large part of our day hearing about different approaches to patient involvement, including a talk from PUK Volunteer Paul Burns who shared his story on patient engagement and advocacy. Watch this space for future posts on specific aspects of the EUPATI resources.